The ultraconservative ruling party Law and Justice has created an allowance for families of 500 zlotys per child from the second child. While this amount has led to a significant reduction in poverty, its effect on demographics is weak. 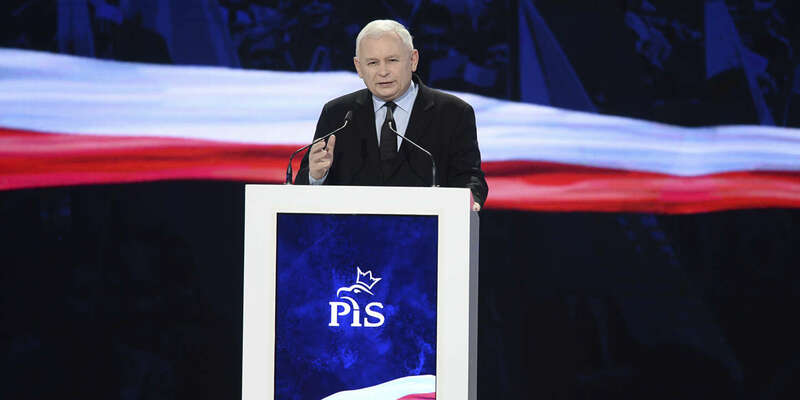 This was the flagship campaign promise, one that greatly contributed to the coming to power in Poland of the ultraconservatives of the PiS (Law and Justice): give Polish families, as part of a broad policy allowance, 500 zlotys (about 125 euros) per child and per month, without income conditions. In a country where the median wage is 2,500 net zlotys per month (600 euros) and social policy almost non-existent since the fall of communism, the introduction of this measure has been a real revolution. Officially, the idea was to set up a "French-style" birth-rate policy to remedy the very worrying fertility rate in Poland (1.33 children per woman), one of the lowest in Europe. After the PiS came to power, the promise was soon corrected because of its exorbitant cost for public finances: the 500 zlotys will eventually be awarded from the second child. After this correction, the program does not cost less than 7% of the state budget. More than two years after the introduction of the measure, the results are mixed. On the one hand, the 500 + program has helped to increase the standard of living of Poles, boosted consumption and led to a significant reduction in poverty (including a 94% drop in so-called "extreme" child poverty). On the other hand, the effect on the number of births has remained low, and economists agree unanimously to point out the many structural flaws of the program, which has been put in place without raising taxes. "You can not really talk about redistributive politics ," says economist Witold Orlowski, rector of the Vistula Academy in Warsaw. The idea itself may be commendable, but its irresponsible implementation is similar to the purchase of voices in a populist logic. In addition, if the government benefits from economic conditions and exceptional tax revenues , the 500 + program can be a serious problem for public finances in the event of a slowdown. "The economy is booming, and nothing is being done to anticipate future crises. With growth to more than 5%, the budget should be in surplus. We have a deficit, " says Orlowski. "The idea itself may be laudable, but its irresponsible implementation is like buying populist voices," says economist Witold Orlowski.